Interior designer is a professional who work with clients in order to create beautiful and attractive spaces. It can be any place say home, office, restaurant, public space, hospital etc. Our designs completely vary from basic house designs to hotel lobbies and big commercial spaces. Whatever the design be our primary motive is to create spaces that would look appealing and meet the client’s expectations. We are independent contractors who built a client base and are responsible for the designing of the entire space. We at Interior9 are corporate office interior designers as well as commercial interior designers. We undertake both designing and contractor services to give our clients an easy way out for the entire project. We understand your needs and focus on planning customized solutions for it. We have been in this business since a long time and have a team of experienced professionals who will undertake your project and make sure to complete it with dedication and quality-work. They make sure that all the work is completed within stipulated time. An interior designer may specialize in residential or commercial interior designing or can specialize in both. A corporate office interior designer should have problem solving skills as he handles the entire project, so he should be flexible in accepting new challenges and provide quick solutions to the problems. They should be well-versed with the latest technology and they should have project management skills. We are leading interior designing company in Navi Mumbai with many years of experience in providing quality services to our clients. They are an investment to the project and not an added cost. Still wondering how? 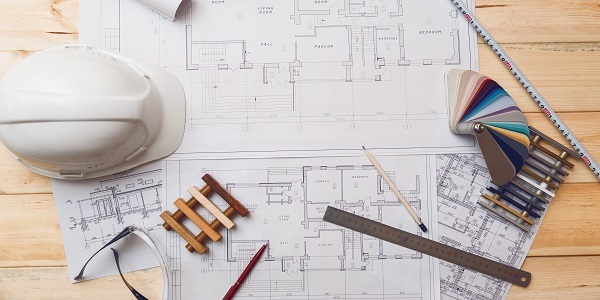 •	It’s because the architect first sits with the client and discusses everything that has to be implemented and is able to make changes before the construction starts. This saves money as making changes after execution can cost them. •	It’s because the architect can help you set a budget and help you to select proper materials and workmanship for the work to commence. We have qualified and skilled architect Navi Mumbai. •	It’s because they make designs according to your need and preference integrating creative style in the design. •	It’s because they help you to make proper selection while purchase of material. As they have in and out knowledge about which material can we get where and at better rate and quality. A top-class office interior design defines the whole work space. It is an indication of your office environment to your clients and employees. The right design is when you are keeping your clients and employees in mind i.e. their needs and wants, this will create an atmosphere that everyone will like and enjoy. Employees spend most of their day in the office and therefore it is very important to create a design which is pleasant and soothing at the same time. The customers, who visit the office, should feel the environment and the designs speak about the brand and professionalism. Therefore, building a space with the best design for the employees, customers and the owners have become a necessity and not a luxury. Interior designing subconsciously affects everyone’s mood on daily basis. We at Interior9 are the best corporate office interior designers. We will undertake your office interior designing contract from scratch to end and make it a point that it gets completed on time with quality service. Commercial interior designing is the designing of commercial spaces that can include retail stores, offices, lobbies, restaurants and any other public spaces where any commercial activity is been conducted. It can also include hotels, lounges, hospitals, theaters, examination rooms, libraries, spas, shopping malls and everything including to any commercial area. They are involved in the construction and renovation and work with manufacturers and contractors to make vital decisions. A commercial interior designer understands the scope of the project and estimates a plan to fit everything accordingly. Their duties also include developing a plan for spaces, setting a schedule, finalizing the blueprints of the project and planning the design structure accordingly. Interior9 is a top commercial interior designer in Navi Mumbai includes Vashi, Ulwe, Kharghar, and Panvel. We undertake projects from start to end which in turn gets us complete control over the project. What is the importance of hiring a commercial designer? It is not every day that we think of renovating our commercial spaces or getting the interior designing done for it. So to hire a commercial interior designer, for it is very important as he will take care of the entire project from start to end. A commercial designer of interiors will have knowledge of the latest trends and experience in the same field for years which will help your project to be done with utmost perfection and with ease. This will take all the weights off your shoulders. They have the required time management skills to get the project done within stipulated period of time. Developing the designs, defining the scope of the project, creating blueprints for it, construction documentation, construction administration are some of the benefits of hiring a commercial designer for your interiors.